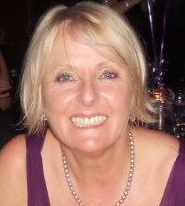 Carole qualified in 1999 as a massage therapist. She holds an ITEC diploma in Therapeutic Massage Anatomy and Physiology (tMap). She is an active Member of the Association of Reflexologists, Complimentary Therapists Association and a Master of Reflexology (MAR) having trained with the renowned Maureen Burgess School of Reflexology at St. Mary’s Hospital Roehampton gaining a level 3 diploma. Post graduate qualifications include; Hopi Ear Candling, La Stone Therapy (ancient traditional Native American therapy using hot volcanic stones and cold marble) Vertical Reflexology, Pregnancy Massage, (Including pre-natal, sub fertility and baby massage) and Trigger Point Therapy.